So we're living in a digital age and our cameras capture digital images that we can print time and time again. With just a few clicks we can send our digital images across the interweb and create all kinds of cool things - huge canvas wall pieces, photobooks, wallet prints for grandma, the sky's the limit - and that rocks! We invest a lot of time and money into colour managing our work, buying professional equipment and educating ourselves so that we can be sure that the final products we create look exactly the same as the images we see and edit on our screens. You might think that's a given, but in reality it's not. We use specialist equipment to regularly calibrate our computer screens to make sure they display colour and brightness correctly, we invest in top spec professional photographic printers and set up specific profiles for them on our computers so that they work together perfectly, and we even adjust our settings depending on the paper we print each image on. When you order prints and products from local retailers or online, it is not often that they will have a professional photographic workflow, and so the results will often leave you disappointed. We decided to try a little experiment and see just how much difference there would be printing the same image at several different places. We printed this image from one of our recent newborn sessions on our colour-managed printer here at the studio, and then also sent it out to 4 local photo print retailers. We knew there was going to be a difference but when we got the prints back even we were shocked at just how different they were! This example shows you a completely unedited photo that we took of two of the prints - one printed by us and the other at one of the local retailers (and just in case you're wondering the other retail prints looked pretty much the same as this example). When you invest time and money into having your special memories captured by a professional photographer and then only take away the digital files to print yourself, you're leaving the final result completely to chance and will often be disappointed in the prints you get back - you only have to look at this example to see it. Silver at the AIPP National Photography Awards! Following this year's success at the WA State AIPP Professional Photography Awards (check out the details in my blog post about it HERE), I somehow managed to find the time to enter some images into into the national awards, which were judged in Melbourne last weekend. I'm very happy to say that I came away with silver awards for these two images that I hold very close to my heart. It's lovely to be among such esteemed company as the very best photographers Australia has to offer and achieve awards at this level. Thanks to my gorgeous clients who allow me to get a real insight into who they are so that I can create special images like these. WA Family Photographer of the Year Finalist! Last month I entered the WA AIPP Professional Photography Awards for the first time ever, at the behest of a good friend. I have always been a proud member of the AIPP (Australian Institute of Professional Photography), because in an industry that doesn't require a licence to practice, I believe it's important to be part of a professional body like this that holds its members accountable and gives consumers the confidence in booking a photographer who they know will be experienced, technically excellent and professional in their business practices as long as they book a pro who is AIPP accredited (to find out more about what it means to be an AIPP Accredited Photographer click here: http://aipp.com.au/about/what-is-an-accredited-professional-photographer). So the annual AIPP Awards are in essence the pinnacle of Australian Professional Photography. Every year photographers enter images for judging by their peers, creating a great space to develop and grow as creatives. I had never entered before because the awards require a lot of time, which with a busy studio to run and two under 5's in my house is not something I have going spare. But this year I decided to get involved, and I entered the Family Category. Let me tell you it was such a great experience and I'm so glad I took part. I travelled up to Perth to watch the judging (which is open to the public so if you are interested in photography I would highly recommend going and seeing the hugely inspiring work being created by photographers in this state) and I am very happy to say that I was awarded three Silver Awards and was a Finalist (which puts me in the top three!) for WA Family Photographer of the Year! I'm feeling very inspired after seeing such talented work, and I look forward to thinking outside the box to create some more unique and inspiring work myself in the year to come. Here are my Award Winning Images for 2016 with the story of each one, which all have a special place in my heart so I'm very glad to see them do well. If you'd like to feature in your own award winning image, book your portrait with us and let's see what we can create together. 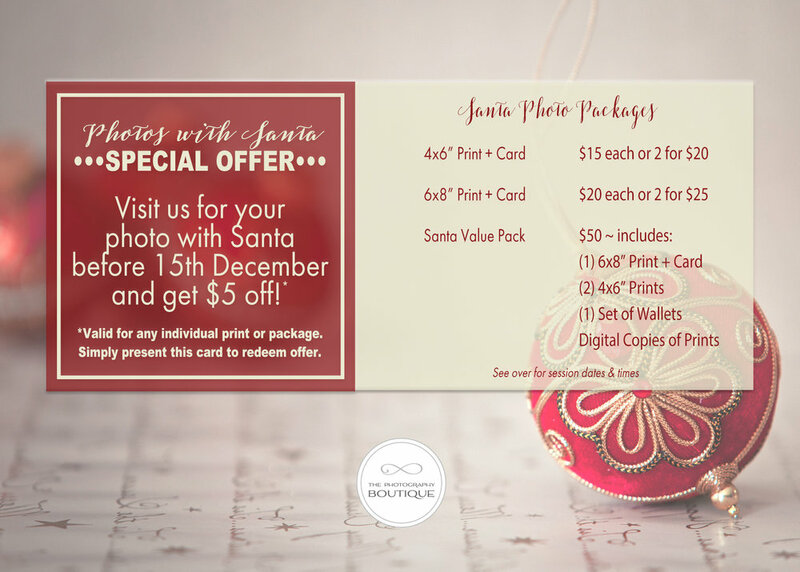 Just give us a call on 08 9791 4226 or e mail studio@thephotographyboutique.com.au to book your session now! This image features the gorgeous Carli and Shae, who's wedding we photographed last year. When they came to meet with me about their Big Day they asked if we could forego the engagement session we usually include in our wedding pakcages, and do an underwater trash the dress shoot instead, as they have lived their whole lives in and on the water and it would have special meaning for them. So we planned and prepared and I spent an afternoon in scuba gear (with my lovely assistant Bianca) at the end of Busselton jetty and this is what we got, which I was super happy with. Evidently lots of other people liked it too as it went viral and was published around the world! I'm absolutely stoked my fellow professionals also recognise it as an award winning image, and I hope it will be the start of a new journey to always challenge myself and be up for doing something different! This has to have been one of my very favourite shoots of all time. All those who know me know I'm a crazy dog lady, and Jasper and Gallifrey are just the most fantastic dogs! Recently a client and friend called and asked if I could take some family photos for them. Her father-in-law was not well and they were expecting Ray to only have a few months left with them. So I fit them in to a busy day of shooting and took lots of photos with the family all together. As I was leaving I noticed how many photos of his family he had in his home, so I asked him to sit in his chair amongst his loved ones and captured this shot. I'm so proud that this has achieved a Silver Award at the State Professional Photography Awards. This Award is to honour Ray who sadly passed away just a week after the shoot, and I'm very happy to have been able to capture these memories for his family before it was too late. It's raining, which usually means we all waste a day cooped up indoors. But today the Sanctuary Bridal Fair is on in Bunbury, and all us exhibitors have planned a special day for you in the warmth of the Sanctuary Resort to help you plan your perfect Big Day. The best suppliers in the region will be there, and whether you are planning to get married at the resort or elsewhere you are sure to find lots of great ideas and inspiration for your wedding day. The Fair is on from 10am to 3pm today, so come and hide from the rain with us.